VoIP over satellite broadband really works. VoIP voice communications has previously suffered from a "show stopper" problem due to what is called latency, BUT the latest networked SIP VoIP systems solve this problem with no delay. Many people will have experienced VoIP using their PC and some free download software. This may be good enough to talk with your relatives in Australia or the USA but it does not compare to professional VoIP. Professional VoIP involves proper configuration and commissioning of a dedicated VoIP phone. The phone is then attached to a tuned network system which delivers priority voice data to bring you smooth and clear voice calls with no apparent time lags or jittery voices. To make the best use of your professional VoIP phone your network providers' equipment is also important. The voice data must be connected as priority traffic on the internet. The satellite network infrastructure is configured to carry voice data traffic as a priority. Priority VoIP data handing operates like an instant queue buster at your supermarket checkout and your VoIP calls can then become clear and smooth. Please do not be confused by inferior products. You will be pleased at the low call rates and good service that satellite VoIP telephone calls can offer you. 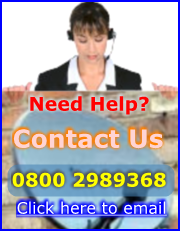 Please contact us for your FREE professional VoIP phone system quote. Got A Dirty Broadband Phone Line? with a dirty broadband line! Your dirty, crackly phone line means you'll have trouble with an unreliable & poor copper internet connection. Your business can run with dirty windows but it can not run without a good broadband connection! Your monthly internet costs could be lower than your office window cleaning costs?